An ultimate level of comfort awaits you with the Hour Limo Service. Enjoy the freedom to travel at your own pace with Driven Miami, for a reasonable price in a fabulous luxury car rental near my location. Sounds too good to be true? Well, with us and our magnificent our fleet by your side, it’s more than possible! How Much Is Limo Rental per Hour? Just contact our friendly customer care experts and tell them if you want to go to Keys, Palm Beach, Boca Raton, Aventura FL, Orlando, Tampa, Naples or any other destination in South Florida, and they will inform you about the price of your future limo adventure. No matter how long or short your ride with us is going to be, members of our team will go out of their way to exceed all of your expectations. Our professional, fully licensed and highly trained chauffeurs take care of everything, including traffic, parking and directions. Customized car service Miami is all about you, the passenger. That being said, our team adjusts your limousine service near me exactly according to your needs and always provide a personalized level of service. Hourly limo gives you the convenience of traveling at your own tempo, stopping at the destinations you like, with your personal driver never too far from your drop off whether that is at the airport (MIA, FLL, PBI, Ocean Reef or any other) or possibly seaport (and that means Port of Miami, Everglades, and Palm Beach). 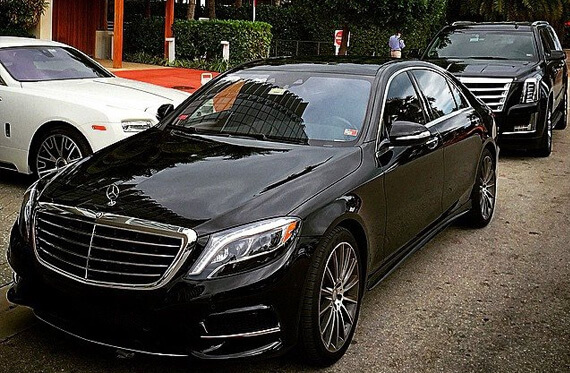 Opting for by the hour Miami black car service nearby may be the best option for all of you with a number of stops in a day. Rent any of our luxurious, spotlessly maintained and modern cars, that will let you relax and revel in a smooth ride from point A to point B. Ours By the Hour Service is perfect for all your special occasions including birthdays, anniversaries, wedding and other celebrations, let us look after you during your key business and family events. Our team is excited to have you on board and share our red-carpet limo service Miami with you.